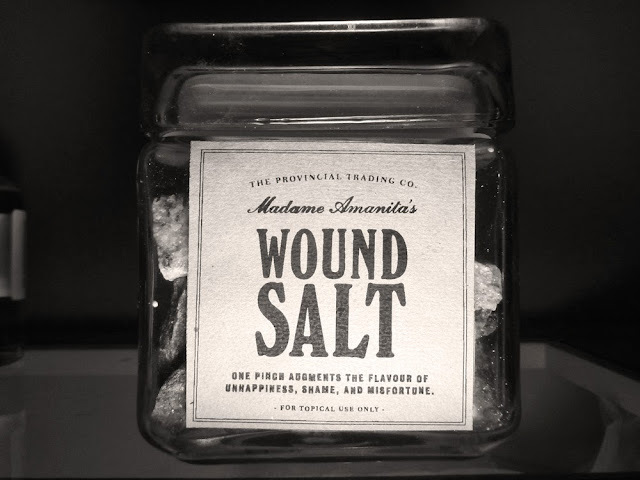 Here at The Provincial Trading Co., we're delighted to carry Madame Amanita's newest product: Wound Salt. This unique melange of salts from the Dead Sea and the Tundra Salt Mine, blended with Madame's own special seasonings, is ideal for adding a piquant zing to tongue lashings and broken spirits. Printable labels, stickers, art prints, postcards and more: The Provincial Trading Co.